They say that grieving parents go through a roller coaster ride as they have to endure the changes in emotion during the grieving process. Losing a child is one of the most painful things that can happen to anyone. It is painful for parents to see their children outlive them first especially knowing that they are older and that they would do anything to see their children alive and well. There are days that are good, days that are bad and on the other hand, there are days when things are worse. 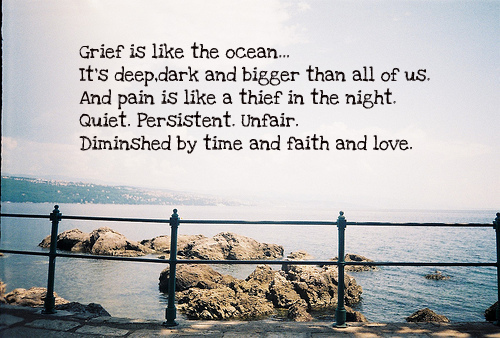 Some people call these moments "grief attacks". 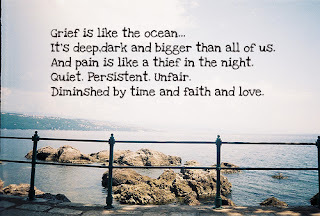 A grief attack can happen any time. From days of not crying and learning to find acceptance, a grieving parent can go back to square one and have a relapse. This is a grief attack and right now, I think I am having one. The last time I cried was last week before her 40 days took place. I thought that would be the last time I would cry for her but then again, I was wrong. I don't know what I am feeling right now. I am sad and hurting but at the same time, I know I shouldn't be crying and that I should be strong. I am angry at myself and at other people but I am trying to understand them. My heart aches. I guess a grieving parent will never get over this pain. People say I shouldn't be so hard on myself and that, I should be selfish now. Sadly, I think I can't. I feel guilty doing whatever I want and can in order to recover. Sometimes things just gets complicated. I wish I didn't experience these highs and lows as I am complicated by myself alone, without all this misery. I love my baby so much. I wish I knew how to feel better but nothing can give me something that last forever. Most of the cures out there are temporary while my heartache is permanent. I wish people would give me time to grieve without inserting their expectations and opinions along the way. After all, they didn't lose a child, I did.